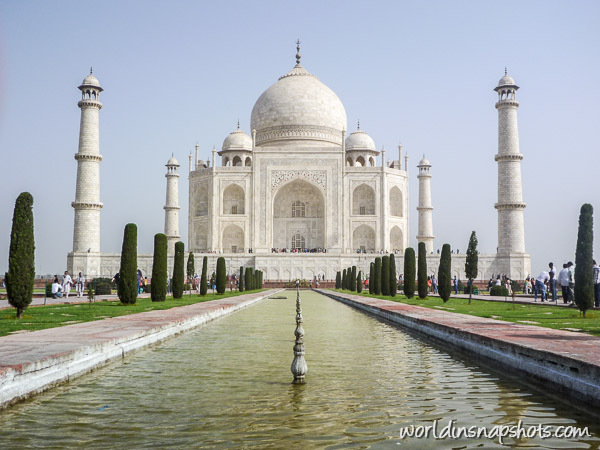 If you’re planning on taking your family to India for a vacation, it can be difficult to know where to begin when it comes to packing. I hope this mini-guide helps you narrow down your mountain of things into a manageable rucksack or suitcase. Touch down on your Emirates flights to India, safe in the knowledge that you have everything you need and, more importantly, that you haven’t brought more than you can use. Take minimal clothes as it’s easy to pick up more cheaply if you need them, and laundry services are also inexpensive. Take clothes that will cover your body. Short skirts/shorts and tight or revealing clothes should be avoided. On women, clothes should cover knees and shoulders. Long sleeved shirts and linen trousers will keep you cool, prevent you from burning and can stop you from being bitten. Travel in a pair of sturdy shoes that are comfortable for walking long distances and pack a pair of sandals, which are handy to slip off when visiting temples. Wraps can be useful to cover you in the sun, to wrap around you if it gets cold, to sleep under during journeys and to wrap around your head if visiting a mosque. If you’re visiting a touristy beach resort, take modest swimwear (a one-piece for ladies). Take a lightweight fleece – even if you’re visiting during the hot weather, air conditioning can sometimes be fierce and nights can cool down. Remember to take a sun hat. You can take small bottles of your usual products, although you’ll easily be able to buy most things in India. Remember to put bottles of liquid in waterproof bags to avoid leakage. Put together a medical kit. Although medicines are available in India, they can be under different names. Be sure to include all of your usual medical essentials, especially diarrhoea medication and a thermometer. Take the advice from health professionals about whether you need to take anti malaria medication. Insect repellent with DEET is essential (check for advice about using repellent on children). You can buy plug in repellents when you arrive. The most practical luggage to take is a lightweight, soft rucksack that has a detachable daysack. A rucksack will allow you to dodge through a busy airport and it will also be easy to squash into the luggage racks on buses. A packable bag is also useful, so you can pull it out if you go shopping or you need something more than just your daysack. Make sure you leave photocopies of any important documents – including your passport and insurance – with somebody at home. Ear plugs and an eye mask (useful for both on the flight and in case your hotel is noisy). Umbrella and packable rain macs. Individually wrapped, antibacterial hand wipes and small packets of tissues. A travel washing line along with a small bottle of liquid wash detergent. A mobile phone (ensure it is activated to be used abroad before you go). A mixture of cash, credit cards and travelers cheques. A lightweight travel towel (takes up minimal space and dries easily). Whether you take one of these each depends on whether your accommodation includes towels or whether you plan to visit the beach regularly. Notebook and pen for planning, writing memories and making notes on train times etc. Don’t take too much with you on vacation as heavy, bulky bags can make your time in the country less enjoyable. You can get most things in India, so don’t worry if you forget to pack something. A good piece of tried and tested advice is to put everything out that you’d like to take, halve it and then take double the money! But even if you can’t double up on your spending money, you’ll certainly benefit from traveling light.